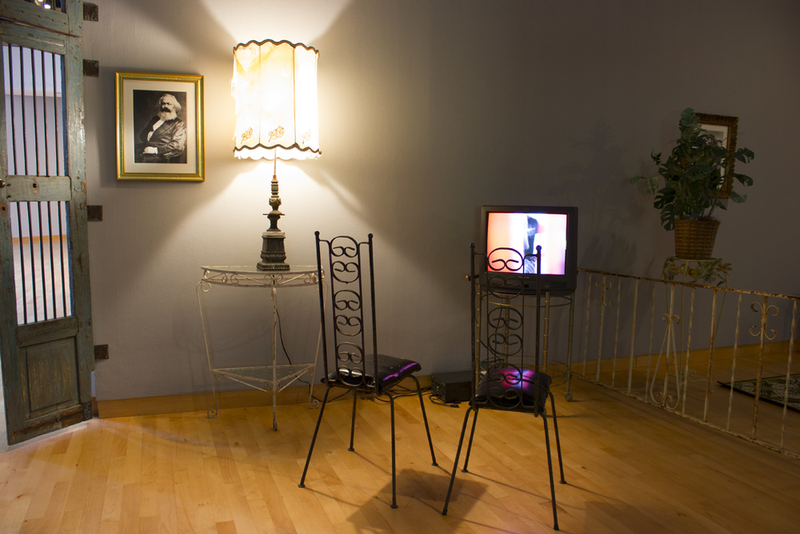 Occupying, Building,Thinking: Poetic and Discursive Perspectives on Contemporary Cuban Video Art (1990-2010), looks at Cuban society from multiple perspectives. Twenty-two artists, some very well-known, contributed videos of varying lengths – 37 seconds to 13 minutes. Most of the artists are still based in Cuba but many have worked throughout the world. 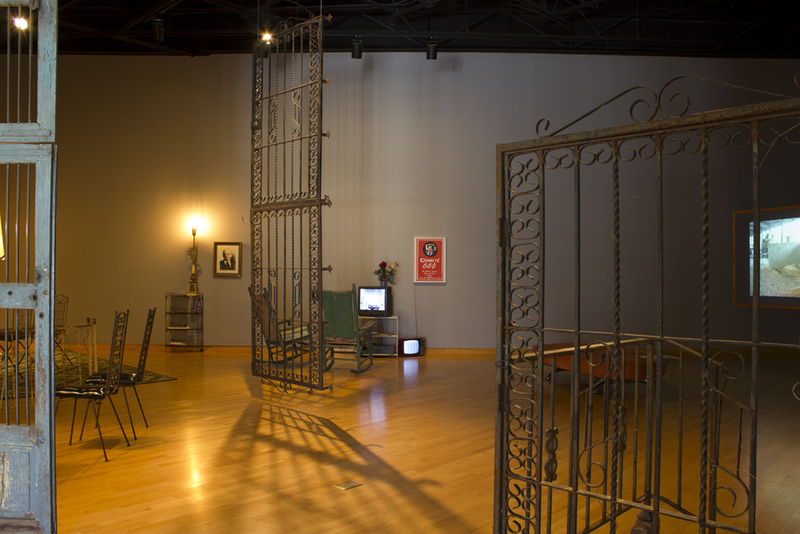 “I had the idea to make an environment to show the videos in, a kind of Cuban living room that would contextualize the videos a bit and also provide a cozy seating space for viewers,” Smith said. “We were lucky to have sculptor Vanessa Diaz, a recent MFA graduate (from the USF School of Art and Art History), who created just the kind of ambiance I was looking for." The Cuban presentation is divided into three sections. 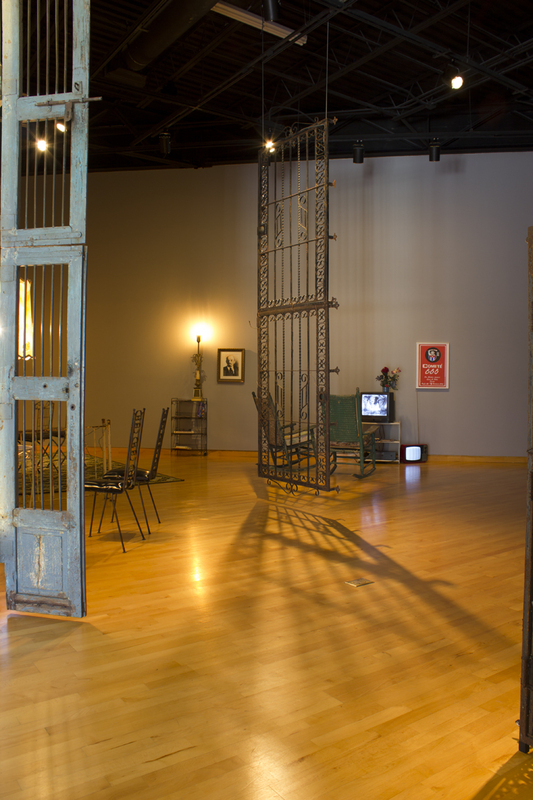 Comfortable chairs next to tables and art on the walls give visitors the chance to feel at home. 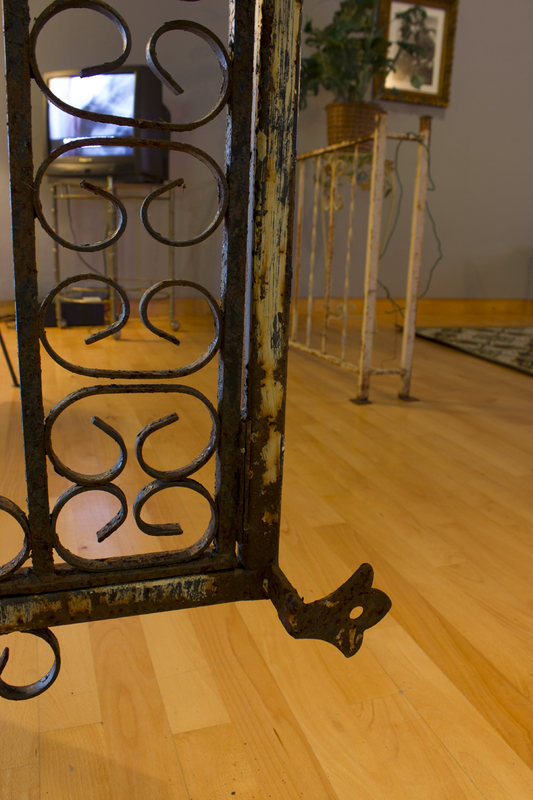 A gate of the type typically found in Havana hangs in the air. Occupying, building and thinking are the themes explored in distinct sections.